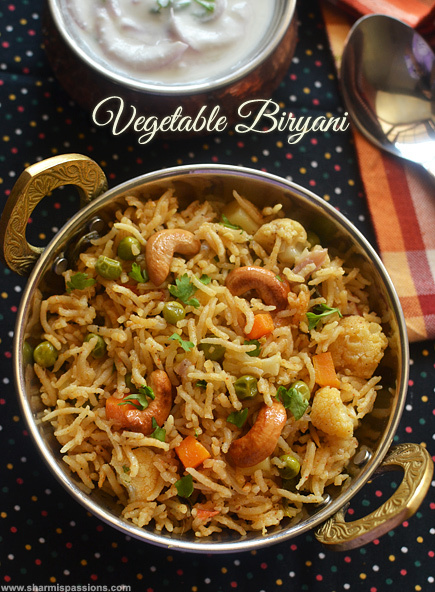 Vegetable Biryani is a quick and easy one pot meal that you can make for lunch.You need to plan few things before hand like making ginger garlic paste,chopping veggies and making the spice powder ready,then making biriyani is so easy.I always follow ammas biryani recipe, but through the years have adapted few other recipes which are easy and quick too and once such method is this one.Chettinad Cuisine uses special ingredients and freshly ground spices which lends a unique flavour, this biryani is the best example for it as it was very well received by all at home.We had it with onion raita, will post it soon.The ingredients and method seems a bit long, but once you get the ingredients ready making is very easy. Take the spices and dry roast it till slightly browned.Cool down and grind it to a semi fine powder.Set aside. While you start making the gravy, soak rice for 30mins atleast.Get ready with your veggies,onion and tomato.In a pressure cooker, heat oil+ghee add kalpasi,bayleaf and green chilli. Then add ginger garlic paste and saute for 2mins.Then add onion , tomato and saute till tomatoes turn mushy.Then add coriander and mint leaves, saute till it shrinks. Then add the veggies and mix well.Add red chilli powder,coriander powder and the spice powder that we made.Saute for few mins.Add required salt. 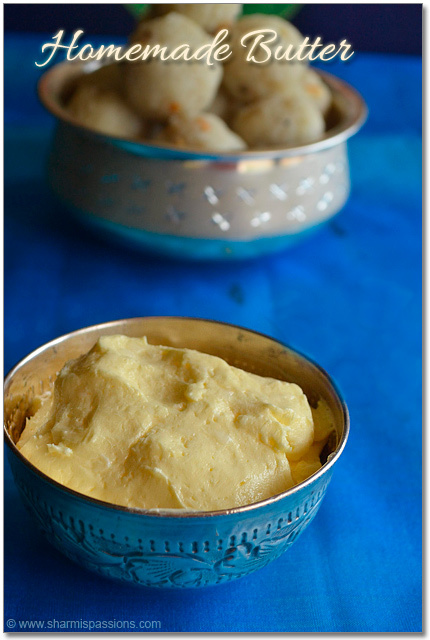 Then add curd, mix well, it will look like a thick gravy.Drain water from rice and add it. Give a quick mix.Add 2 cups and water and pressure cook for 4 whistles in medium flame. Once pressure releases, take off the weight and place the cooker in a dosa tawa for 3-5mins in low flame and switch off – This step is purely optional but gives a nice fluffy rice.Then open and fluff it up. Heat ghee in a tadka pan, fry cashews till golden.Add it along with chopped coriander leaves and remaining ghee.Mix well. Keeping in dum removes excess moisture and gives nice fluffy rice.Sometimes I do this when I feel the rice is sticky.But this is purely optional, I have given so that it will be useful when there is excess water. You can make ginger garlic paste, the spice powder mix before hand and store it. Soaking rice gives soft fluffy rice. 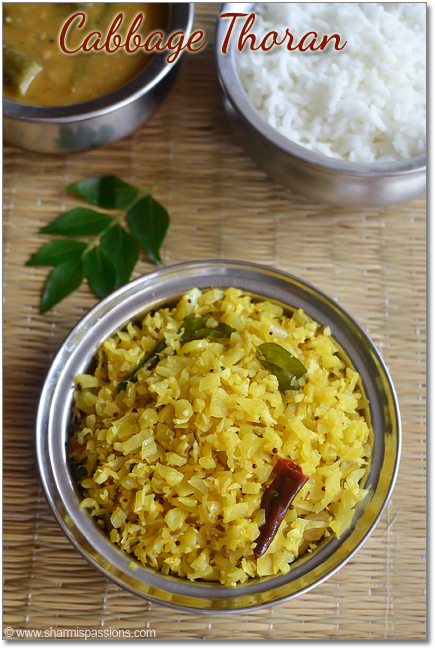 Kalpasi is a very important spice in chettinad cuisine so dont skip it. Looking super delicious. And quick to make too. 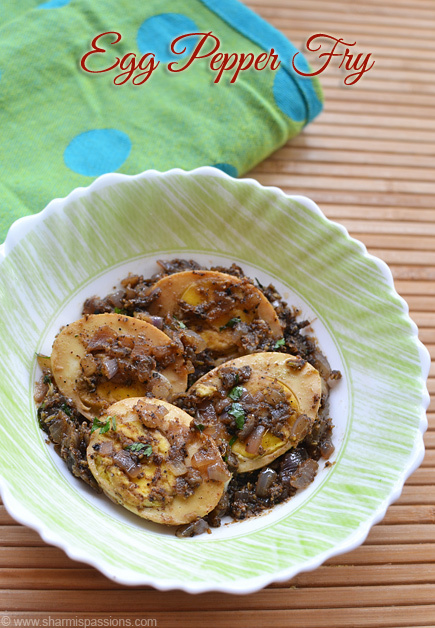 Hey looks tasty.I love ur blog and just a kind request,plse post at some point of time the coimbatore street food Kalan recipe.I hope u might have tried it. Unable to identify Kalpasi ? Is there any other name ? where we can get it? I'm unable to get that one in Bangalore. I made without that, it came out nicely, the dosa tawa helped a lot to get the fluffy effect. Thank you a lot for the small and detailed tips. Your pic … made to me to try this immediately, so tempting pictures. Thank you Sharmi. I checked the website and got an idea. I'll try to get soon. 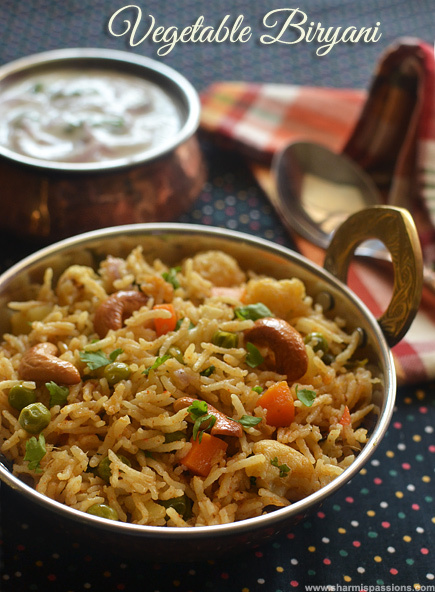 Very tempting biryani…will it not be sticky if we leave for four whistles? Made it today came out so well. Use half water and half coconut milk else it will become too sticky. I've tried this recipe came out yummy ? 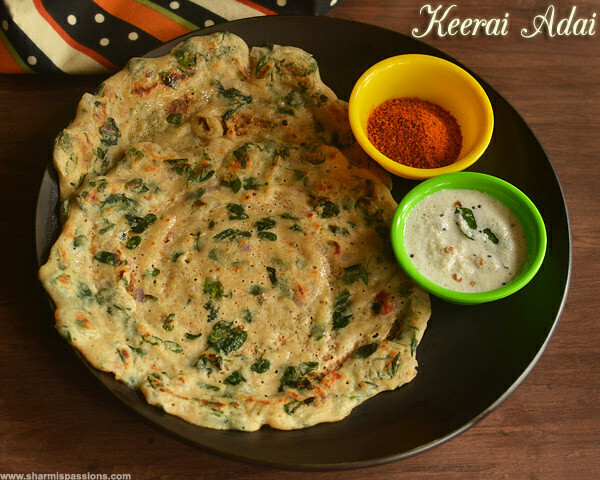 Kalakaringa sharmi.. Came out perfect! I made the biryani today .it came out very nicely. Why we need to add curd. And how much quantity? 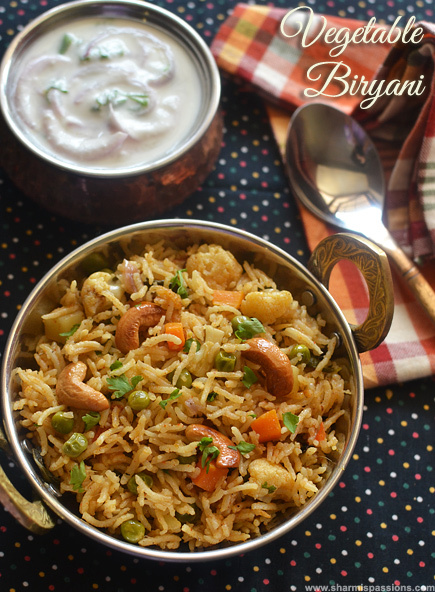 How to cook this briyani in rice cooker.in my rice cooker had 6 program functions. Its Redmond brand. Pls reply. I try out your recipes more often and that used to come out so well.Thanks for your recipies..This appears so appealing and sure will try it out. 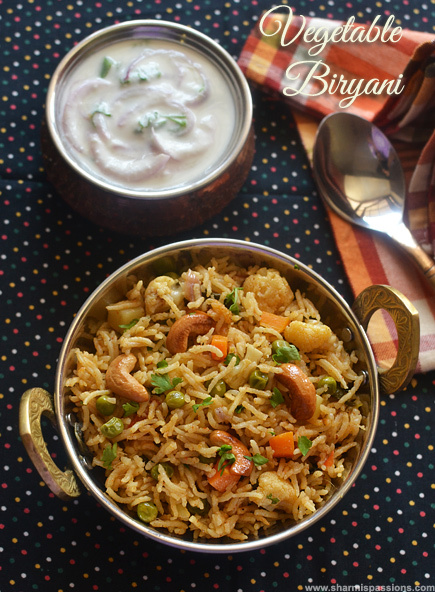 I usually try different versions of biriyani every time but still struggling to get an exact mouth watering version. 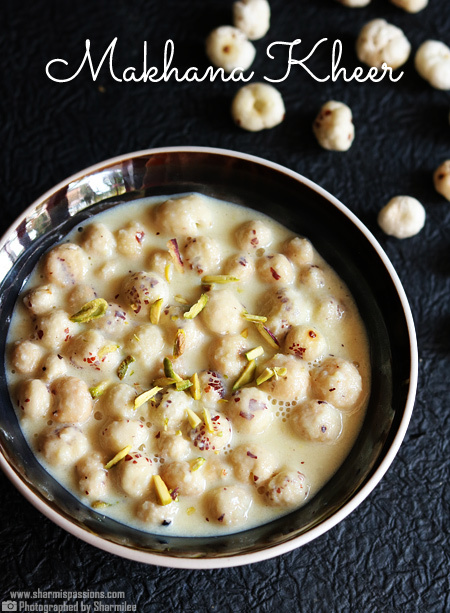 one is use of curd or coconut milk.I am sure coconut milk gives out a nice flavour.but which will be the better option?? my mil used to grind some coconut and does not add the either. Next is the ginger garlic paste.I find u have added very little in pic..is it 2 tsp or what is the correct measurement. There was no mention of salt.. Do we not need salt? 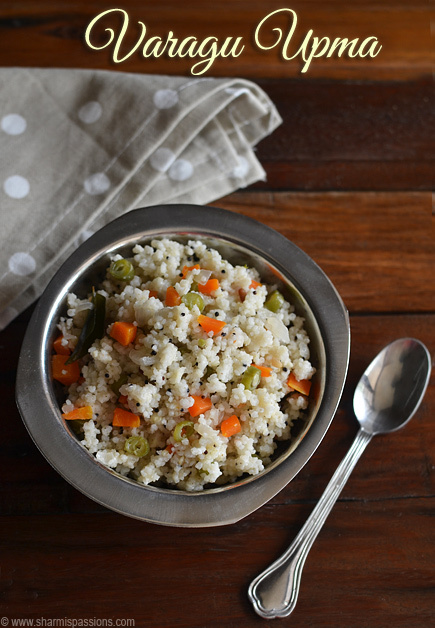 Hii… one cup of rice means can you please tell the exact quantity.. I tried this recipe today and it came perfect. Reduced the wires to half as I had only half cup of rice.. after a really long time my biriyani had come fluffy wit individual grains of cooked rice! Thanks Sharmi! I love veg biryani. your information is good for me. I will try at home. Really Good post! Appreciate it. and I think we can also Garam Masala in the Biryani as well, What do you think? After soaking for 30 min and leaving 4 whistles in pressure won’t let the rice go mushy..